We are so confident in what we sell that not only do we provide 100% free shipping and delivery - anywhere in Canada. We also provide a 100% satisfaction guarantee! If you are not completely satisfied with your decision to buy from us, contact us and we will make it right, we promise! Our vast experience in the Printer and Toner industries has given us the ability to provide the best service and warranty in the market. You can be assured that your purchase will be met with service and support that you would never come to expect from an online retailer. As a matter of fact, we are humans running this company so be patient if we don't act like robots! Our brands of 100% reliable Ink & Toner are guaranteed not only to last the specified page output (as per the industry standards) but to also produce the most vibrant and beautiful color reproductions, guaranteed! We Provide an Industry Leading Warranty. We warrant that our compatible and re-manufactured Ink & Toner Cartridges and Drums, under normal use, will not cause damage*, abnormal wear, or deterioration to any equipment for which the consumable was intended. Imaging supplies are warranted to be free from defects for a period of one (1) year from the date of purchase. Any product to be found defective in materials and/or workmanship during the one (1) year warranty period, will be replaced at no cost. 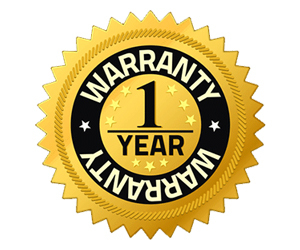 This warranty becomes null and void if the warranted product(s) is disassembled in any way, or if the product is handled, stored or used in any manner considered abnormal. *Liability under this warranty shall be limited to the replacement or reimbursement for the actual products purchased and does not extend to Printers, Photocopiers or other peripheral devices. No other expressed or implied warranty shall exist. Imaging supplies for your laser or inkjet printers, fax machines, photo copiers are guaranteed to perform at a level that meets or exceeds OEM (Original Equipment Manufacturers) standards. If the packaging material is damaged in any way DO NOT INSTALL the Ink or Toner and call us at (905) 967-1825.